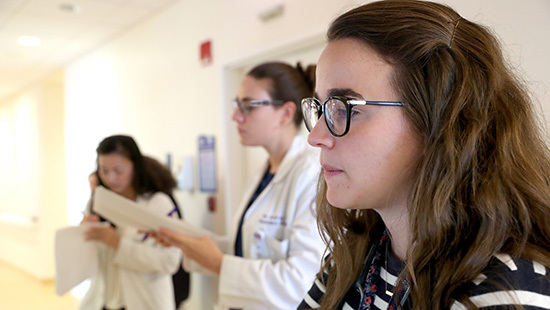 Through our partnership with Ann & Robert H. Lurie’s Children’s Hospital of Chicago, Northwestern University Feinberg School of Medicine’s Division of Developmental Behavioral Pediatrics is dedicated to training and research related to child development and the diagnosis and treatment of developmental behavioral disorders in children. "Helping children and families achieve their full potential though multidisciplinary clinical care, education, research and advocacy is the point of developmental behavioral pediatrics." 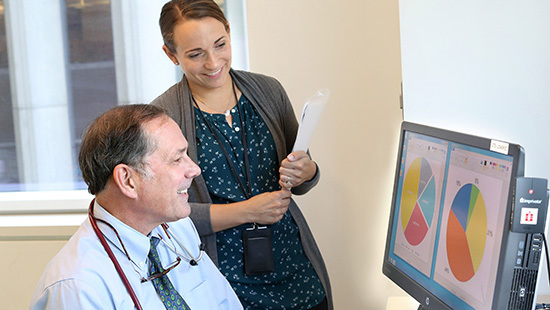 Feinberg faculty provide family-centered, state-of-the-art multidisciplinary care for patients in multiple locations: Lurie Children’s, Lurie Children's Pediatrics - Uptown and Central DuPage Hospital. The division has specialized multidisciplinary evaluation programs for infants, toddlers and preschoolers with developmental concerns, including autism spectrum disorder and regulatory disorders and children with Down syndrome. Our teams may include speech/language pathologists, occupational and physical therapists, child psychologists, social workers and nurses. 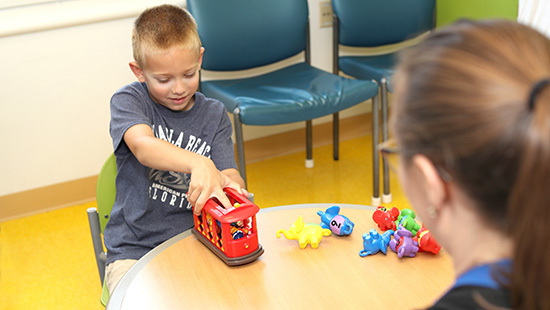 The Division of Developmental Behavioral Pediatrics is committed to research and is currently involved in a number of clinical research projects related to autism spectrum disorder, infant regulation and other related areas. View our publications feed. 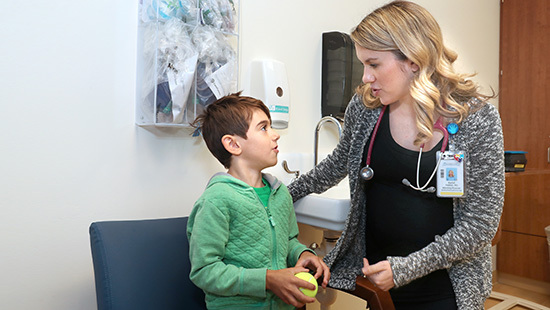 The Division of Developmental Behavioral Pediatrics provides educational opportunities to pediatric residents and medical students and as well as care providers from other specialties such as neurology, physical medicine and rehabilitation, child psychology and related fields. Our multidisciplinary approach to teaching provides a comprehensive understanding the roles of various professional in the care of children, particularly those with disabilities. Faculty in the division are involved in national, state and local advocacy efforts to improve the lives of children, especially those with disabilities. We collaborate with physician organizations such as the American Academy of Pediatrics, local disability agencies, early intervention programs and schools.